Table 1. Demographic, clinical, laboratory and histopathological data of six patients with HCC and SLF submitted to liver transplantation in Recife – Brazil. Schistosomiasis affects approximately 207 million people in 76 countries. The association between hepatocellular carcinoma and Schistosoma mansoni infection has been investigated. Studies using animal models suggest that the parasite may accelerate the oncogenic process when combined with other factors, such as hepatitis C virus infection or exposure to a carcinogen. Herein, we report a case series of six hepatocellular carcinoma patients from Northeast Brazil, with negative serology for both hepatitis B and C virus, submitted to liver transplantation, whose explant showed evidence of schistosomal liver fibrosis. Since all patients enrolled in this study were submitted to liver transplantation, we were able to access the whole explanted liver and perform histopathological analysis, which is often not possible in other situations. Although 50% of them showed signs of liver failure, no cirrhosis or any liver disease other than schistosomal fibrosis had been detected. These uncommon findings suggest that Schistosoma mansoni infection might predispose to hepatocellular carcinoma development, regardless of the absence of other risk factors. The association between SMI and hepatocellular carcinoma (HCC) has been evaluated over the last 40 years in both experimental and clinical studies, of which many were performed in Egypt. However, due to the use of non-sterile shared syringes for SMI treatment in the past, that country has a high prevalence of hepatitis C and schistosomal coinfection.4 Therefore, the co-occurrence of HCV and SMI in the Egyptian population makes it difficult to comprehend the real contribution of SMI in the oncogenesis of HCC. Importantly, the previous studies lack histopathological material that analyzes the whole liver. Such resource is essential to rule out other conditions that may contribute to carcinogenesis. The aim of this study is to identify the frequency of schistosomal liver fibrosis (SLF) in patients submitted to liver transplantation (LT) due to HCC in a reference center in Northeastern Brazil, describing the clinical, laboratory and histological characteristics of the patients whose explant showed only SLF. A case series was drawn up from data collected from the medical records of 170 patients submitted to LT for HCC treatment at the Liver Transplantation Unit of the Oswaldo Cruz Hospital in Recife, Pernambuco, Northeast Brazil, from 1999 to December 2016. The study included cases for which the histopathological examination of the explant demonstrated the presence of SLF. Patients with current or previous evidence of hepatitis B or C and with histopathological evidence of cirrhosis or other liver diseases were excluded. Of the 170 patients submitted to LT for HCC treatment between 1999 and 2016, six (3.5%) were identified with an isolate finding of SLF when the explant was analyzed. A summary of these six included cases is shown in Table 1. Five of them were male and all were from endemic areas of Northeast Brazil. The age at transplantation ranged from 34 to 70 years, with a median of 53 years. Three patients reported a previous episode of upper gastrointestinal bleeding (UGB) due to rupture of esophageal varices, and two of them had undergone splenectomy. In three patients, the indication of LT as HCC therapy was due to bilobar tumor involvement and in the remaining three due to signs of hepatic failure, such as ascites and/or jaundice. All patients with clinical signs of liver failure had previous UGB. Demographic, clinical, laboratory and histopathological data of six patients with HCC and SLF submitted to liver transplantation in Recife – Brazil. HCC, hepatocellular carcinoma; SLF, schistosomal liver fibrosis; UGB, upper gastrointestinal bleeding; LFS, liver failure signs; MELD, model for end-stage liver disease; DM, diabetes mellitus; AC, alcohol consumption; SG, schistosomal granuloma. All explants showed stellate portal fibrosis with vascular proliferation, typical of Symmers' fibrosis and in four cases there were schistosomal granulomas (Fig. 1). As to the weight of the explant, three cases had a reduction in the ratio explant/total body weight, two of which had signs of liver failure. Although three patients had other risk factors for HCC, such as diabetes and alcohol consumption, the histopathological analysis of their explants did not show any cirrhosis, steatosis, or other liver diseases. No complete portal vein thrombosis was found in any case; only one patient had partial occlusion of this vessel. Explant showing a hepatocellular carcinoma in the left lobe of a liver with schistosomal fibrosis and absence of nodular transformation (A). Microscopic slides showing stellate portal fibrosis with vascular proliferation (B – Masson’s trichrome, 40×) and a schistosomal granuloma (C, arrow, hematoxylin–eosine, 100×). In a case–control study with 75 patients with HCC and HCV divided according to the presence of SMI, El-Tonsy et al. observed that the co-infected patients were younger and had a higher proportion of larger and multifocal tumors.8 Sabry et al. found serologic evidence of SMI in 20 of 60 HCC cases in Egypt, of whom only four were co-infected with HCV.9 Another Brazilian cases series described seven HCC patients with schistosomiasis; however, some of these patients had portal thrombosis or previous hepatitis B.10 It is important to highlight that none of these studies performed histopathological analysis of the liver to exclude other predisposing diseases or some degree of liver cirrhosis. In summary, by studying HCC patients from a schistosomiasis endemic region who had undergone liver transplantation, we were able to perform histopathologic analyses of the explanted liver, which is not commonly available in non-transplanted HCC patients due to biopsing-related risks. Therefore, the present case series is the first to describe an association between HCC and SLF based on the whole analysis of the liver, which permits the exclusion of other associated hepatic diseases. Although this case series brings clinical evidence about the possible association between SMI and HCC, it does not establish a causal relation, thus, further investigations are required to better understand the current observations. World Health Organization. Shistosomiasis [Internet]. Geneva: WHO. Available from http://www.who.int/schistosomiasis/en/ [cited 22.10.17]. F.R. Martins-Melo, M.C.C. Pinheiro, A.N. Ramos Jr, C.H. Alencar, F.S.M. Bezerra, J. Heukelbach. 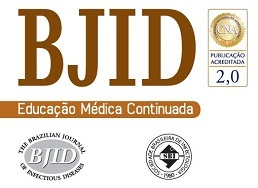 Trends in schistosomiasis-related mortality in Brazil, 2000–2011. Y. Shaker, N. Samy, E. Ashour. Long-term hepatocellular effects of hycanthone and two other anti-schistosomal drugs in mice infected with Schistosoma mansoni. M.M. El-Tonsy, H.M. Hussein, T.E. Helal, R.A. Tawfik, K.M. Koriem, H.M. Hussein. Schistosoma mansoni infection: is it a risk factor for development of hepatocellular carcinoma?. M.M. El-Tonsy, H.M. Hussein, T.E.S. Helal, R.A. Tawfik, K.M. Koriem, H.M. Hussein. Human Schistosomiasis mansoni associated with hepatocellular carcinoma in Egypt: current perspective. A.E.H.A. Sabry, A.A.A. El-Aal, N.S. Mahmoud, Y. Nabil, I.A.A. Aziz. An initial indication of predisposing risk of Schistosoma mansoni infection for hepatocellular carcinoma..
K.S. Toda, L. Kikuchi, A.L. Chagas, et al. Hepatocellular carcinoma related to Schistosoma mansoni infection: case series and literature review.